I, Claudius: Coming To WETA UK in September! Exciting news about a bit of upcoming programming on WETA UK – I, Claudius, one of the most popular British mini-series of all time, will premiere on our all-British sub-channel channel starting September 1st. For those of you who don’t know, I, Claudius is a thirteen-part series produced by the BBC in 1976 and it’s still one of the network’s most successful efforts. The drama stars Sir Derek Jacobi as Claudius and features a supporting cast that is stuffed full of awesome talent, including Sian Phillips, Brian Blessed, John Hurt, Patrick Stewart, George Baker, Margaret Tyzack, John Rhys-Davies and more. Narrated by an elderly Claudius, the story follows the history of Rome from the death of Marcellus, nephew and son-in-law of Emperor Augustus, in the first episode, to Claudius’ own death in its last. (This is somewhere around from 24 BC or so to 54 A.D in Roman history. Ish.) The plot focuses on Augustus’ attempts to find an heir, the machinations of his wife Livia who wants to elevate her own son Tiberius, and what turns out to be several decades’ worth of plotting and double-dealing that culminates with Cladius’s own unlikely rise to power. If you’ve never seen it before, I, Claudius is so well worth a look! 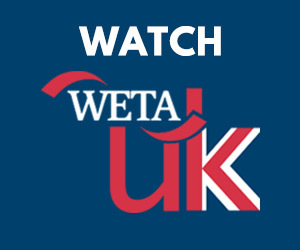 WETA UK will be airing all thirteen parts in two separate blocks – we’ll be running four episodes at a time on Saturday nights starting September 1st. If you would prefer to see your Roman intrigue at a slightly more stately pace, we’ll also be running the whole thing on Mondays, one episode at a time (i.e. Episode 1 will air Monday, September 3 and continue on from there). Pick whichever airing schedule works best for you and mark your calendars now. Thoughts? Have you always meant to try this classic out? Or are you looking forward to seeing the series again? Let us know!